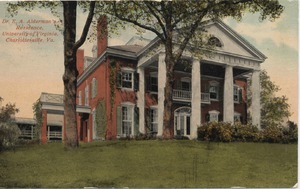 Built on Carr’s Hill and replacing a hodge-podge of buildings, the president’s house overlooked the Rotunda and signified the role of the University’s new leader. 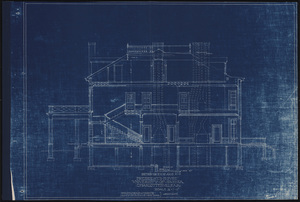 Alderman and his wife, Bessie Green Hearn Alderman, were deeply involved in the design for the house. 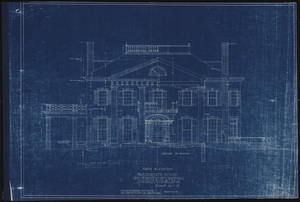 After McKim, Mead & White offered two schemes for the house, the Aldermans suggested that White base the façade on a mansion they admired while living in New Orleans. 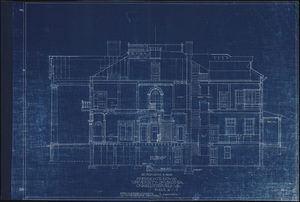 Following White’s death, the firm redesigned and finally finished the residence and carriage house on Carr’s Hill by 1909. With giant Doric columns high on the hill, Carr’s Hill has since served as both a private house and a gracious setting for University functions. The spacious reception rooms on the first floor have hosted dignitaries as well as welcomed students, University staff, and community members. Carr’s Hill has also been the home for all seven of the University’s presidents and their families. The entire second floor is dedicated to rooms housing the president’s family and guests of the University. 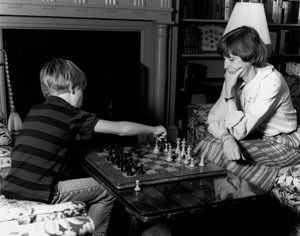 The house has hosted intimate family gatherings, holidays, and weddings. 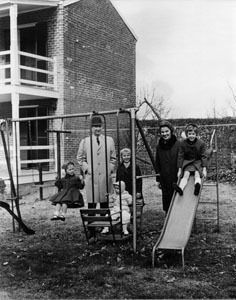 A backyard playground was even built for the children of President Edgar F. Shannon in the 1960s.